HIGH CARBON STEEL DAGGER GALLERY. It has taken roughly 2000 years of metallurgical evolution to come to the consistent high quality steels we have today and this allows us to make the finest quality blades and tools. 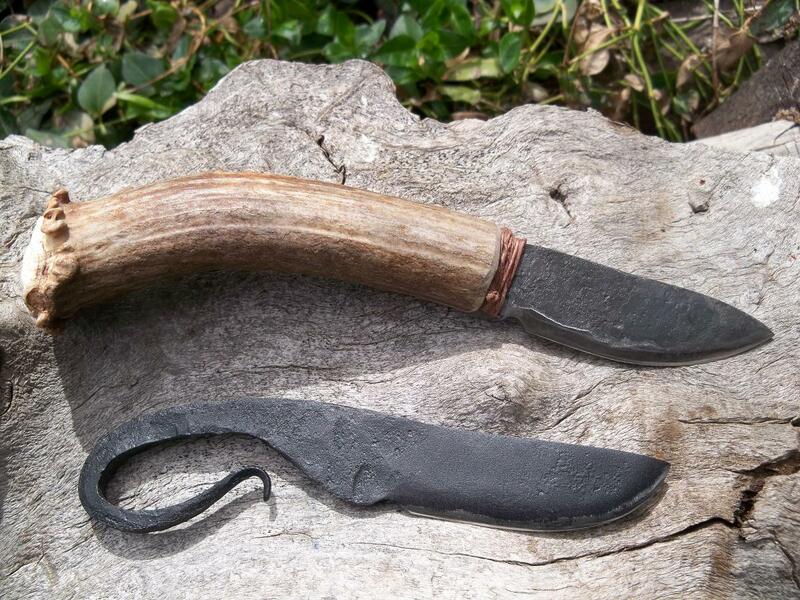 Blades during the early iron age were basically wrought iron with small amounts of carbon sporadically forged into the blade during the making process, today steel is carefully formulated for each use and application. If steel had never been invented our modern world would not exist. 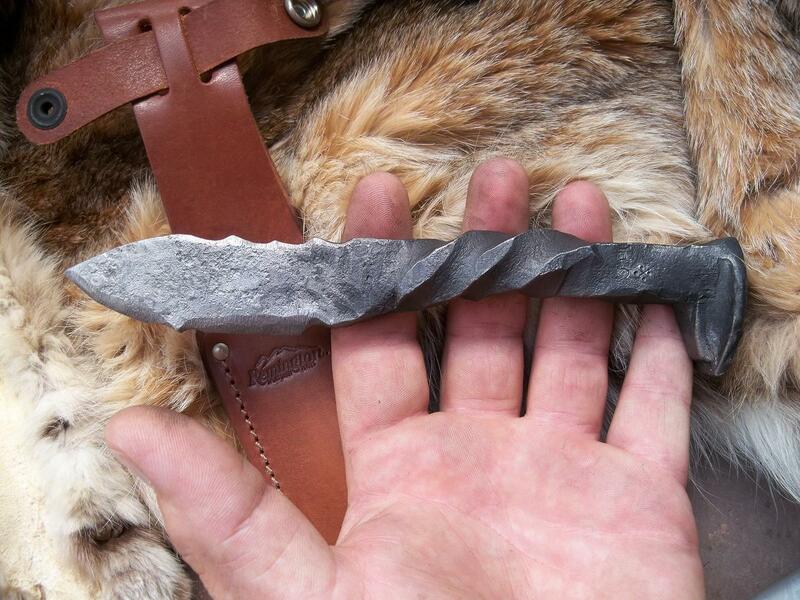 Blacksmiths are behind one of the most important human discoveries to ever be made. IRON is one of the single most valuable things ever invented or discovered and is still the core of all modern life as we know it. Collectors piece: Olaf the Dragon slayer. 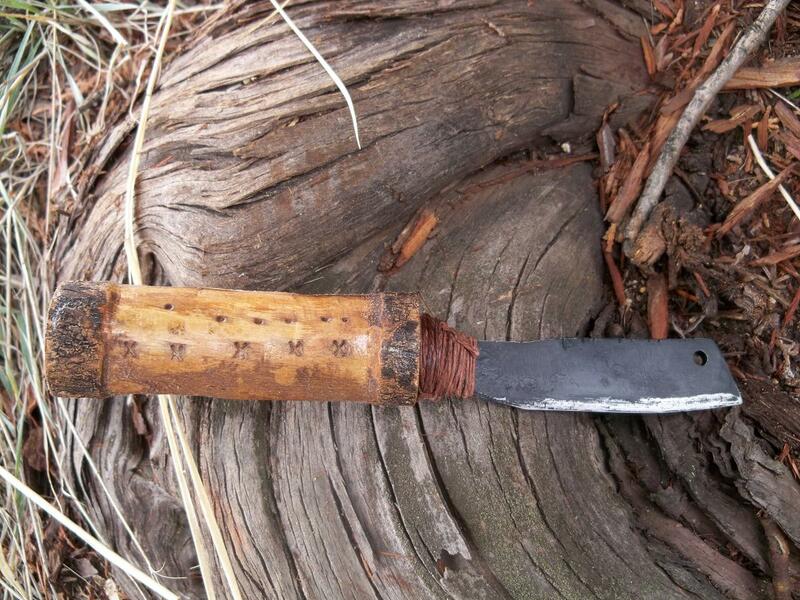 Greenlandr 2.0 Bush Knife. 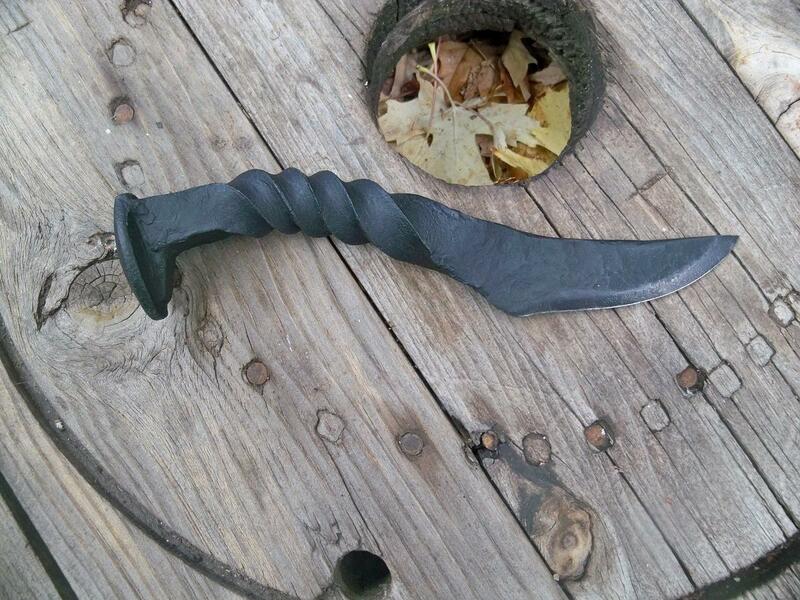 Tool Steel with custom handle. 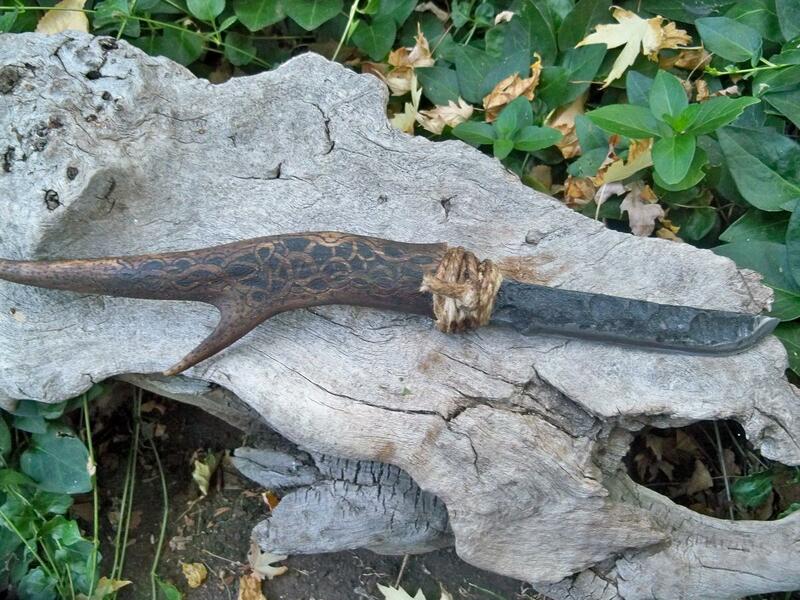 Long dagger with Reindeer handle. 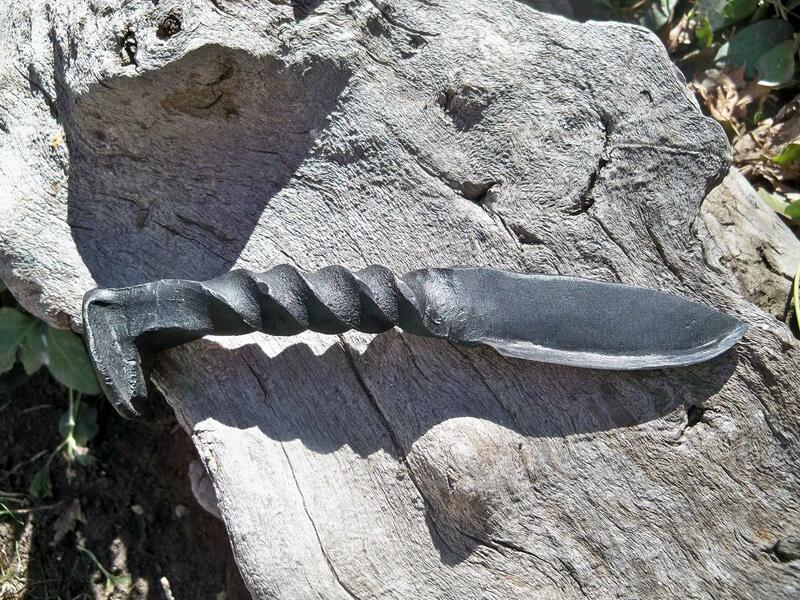 Spring steel Norse food knife. This entry was posted on January 7, 2011 by .. 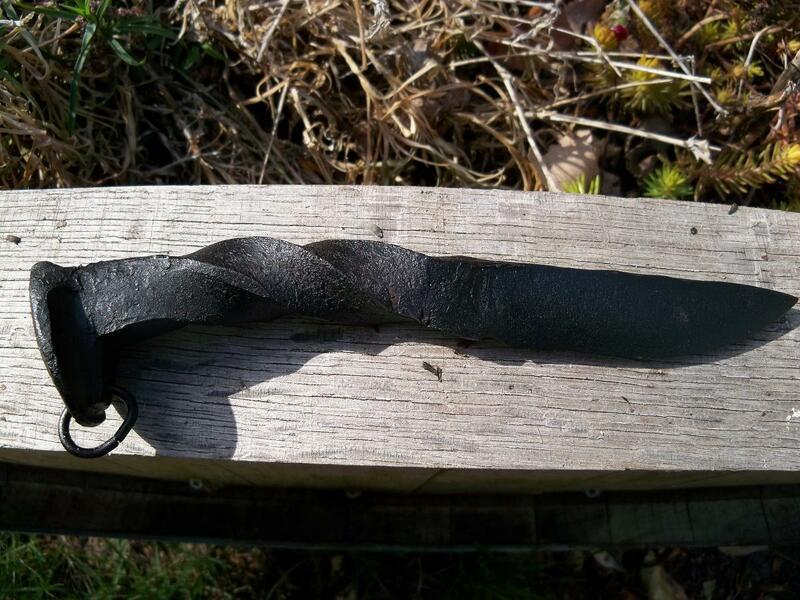 It was filed under Knife making-Blacksmithing and was tagged with 1040, 1095, Blacksmith, coal forge, forge, high carbon steel, hunting knife, leaf spring, metallurgy, quench, spring steel, steel, temper.